What Advanced Reports can do? 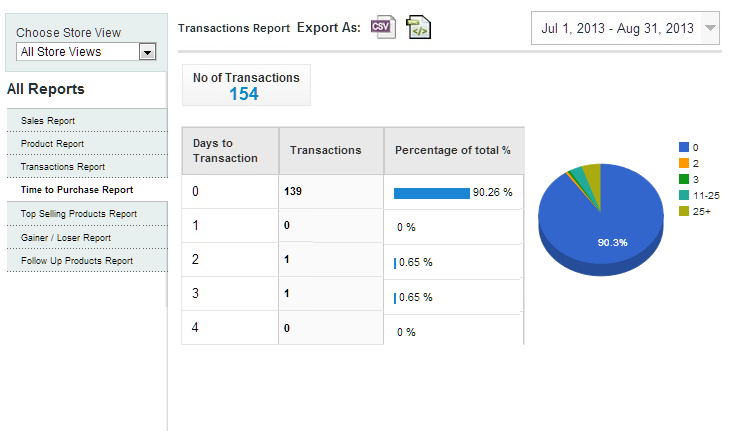 Displays data in pie chart for "Days to Transaction" Vs. "Transactions"
Displays total number of transactions for each "Days to Transaction"
Displays total percentage for each "Days to Transaction"
Tracking ecommerce reports for my store is simple now. 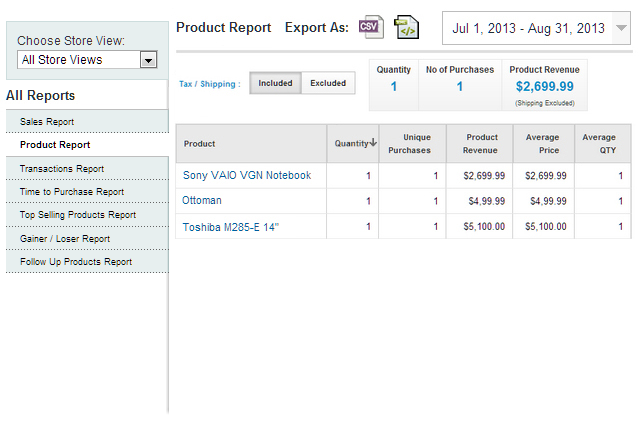 It helps to compare the reports with other reports too. I am feeling that the store management is pretty easier than before. The extension is very easy and efficient to use. This is really a great report generator with 7 types of report and am really super happy to use this. 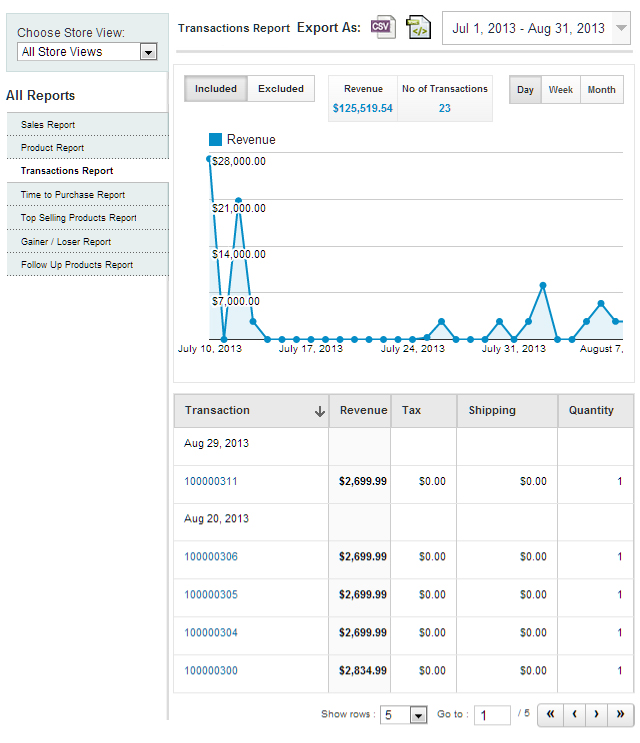 I am running more than 3 estores in Magento. 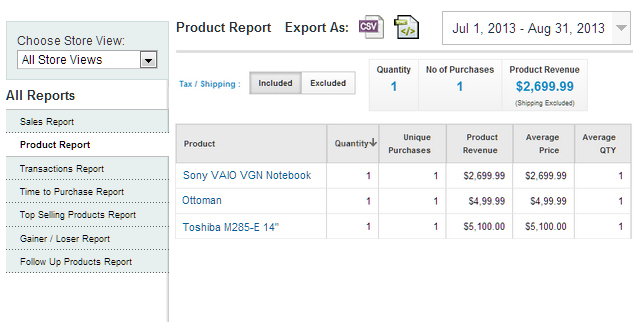 Couldn't maintain the details of my estore. 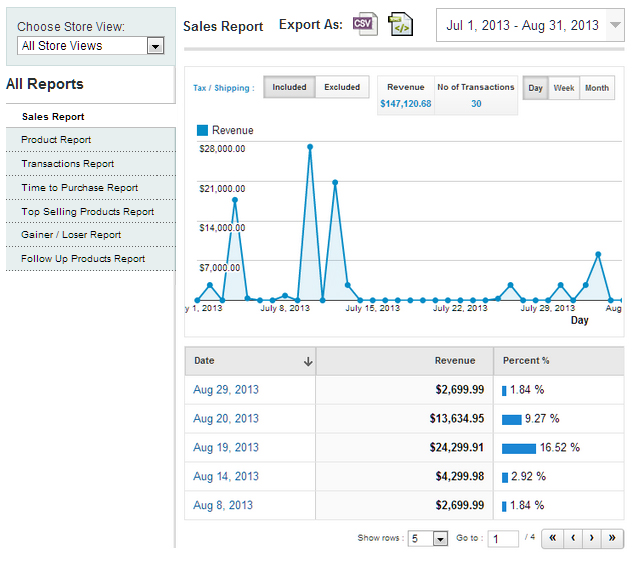 So finally got this Magento reports plugin. One of the reasons to buy this module is the demo module in my store magento, product sales report and revenue report was very clear. 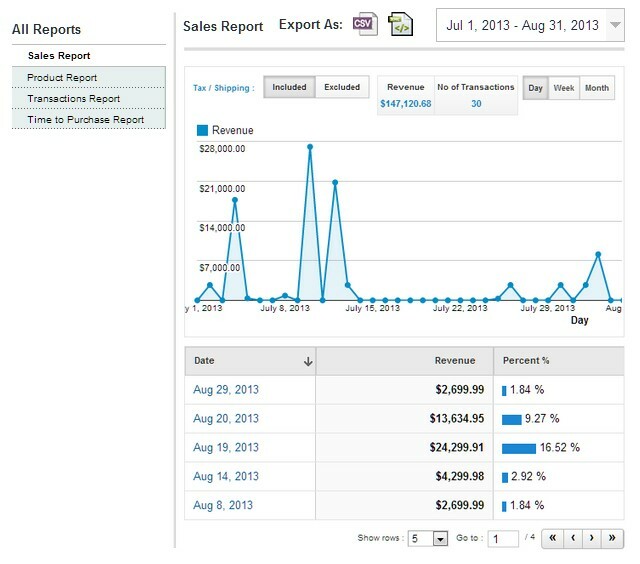 It also keeps the data of all the months so not only tracking daily information but also gathering the magento monthly sales report is also possible. 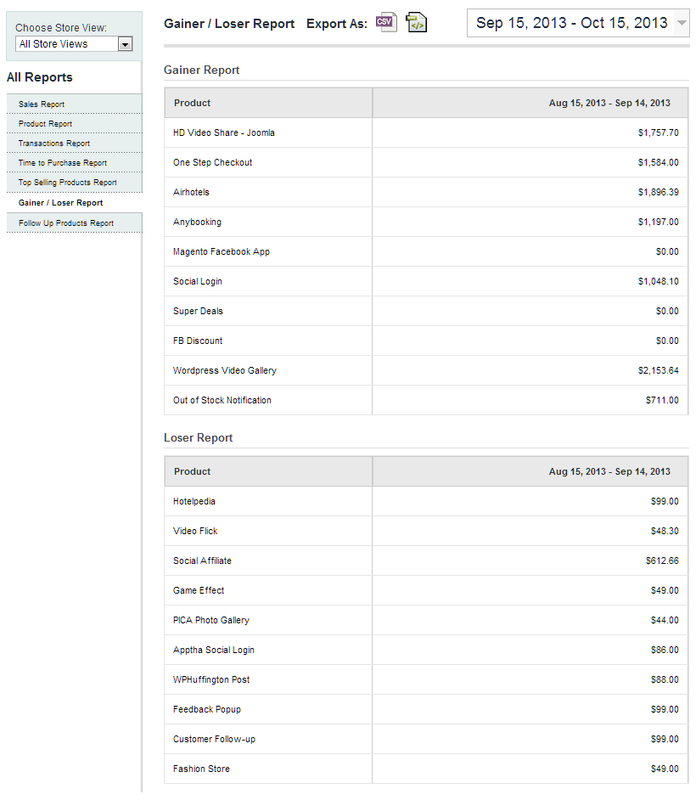 Comparisons between any months can be made to track the best sales report of the store using this Magento reporting extension. Awesome module. Using this module for recent days and it is easy to remember the difference of all my estores. Because the analysis is shown in diagrammatic also.